We invite delegates to attend the 3rd International Conference for Carceral Geography, organised by the Carceral Geography Working Group (CGWG) of the Royal Geographical Society – Institute of British Geographers (RGS-IBG) and The International Criminological Research Unit (ICRU), University of Liverpool. The conference is hosted by the School of Environmental Sciences, University of Liverpool in conjunction with the Power, Space and Cultural Change research group in the Department of Geography and Planning. Conference registration is free. Catering for both days will be available at the cost charge of £27 to include lunch and all refreshment breaks. An optional conference dinner will also be available. Please register here. 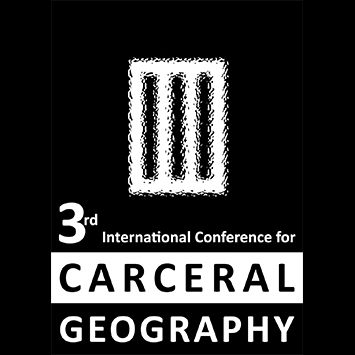 The 3rd International Conference for Carceral Geography provides an opportunity for presentation and discussion of work on all forms of carcerality; camps, confinement, custody, detention and incarceration, from carceral geographers, and scholars, scholar-activists and practitioners from all disciplines. Contributions from Early Career Researchers are especially welcomed. The conference theme of “counterpoints and counter-intuition” is intended encourage both a diversity of perspectives on the carceral, and to stimulate discussion of that which is or was unanticipated, had been unimagined, or was unforeseen. ‘Counterpoint’ is a term used in musical theory to describe the relationship between voices that are simultaneously independent yet interdependent. We deploy this term here to describe the differing perspectives which characterise carceral research – including scholar-activism aligned to abolitionism or reductionism, and research conducted within and with the formal approval of, carceral establishments. We see all of these voices as purposeful and productive, and through this theme we seek to highlight both their independence, and the interdependences between them. All perspectives are welcome, and the theme of ‘carceral counterpoint’ encourages constructive and collaborative dialogue across the diversity of perspectives. Through the theme of ‘carceral counter-intuition’ we seek to explore the unexpectedness of carcerality, its unimagined forms and its unforeseen aspects – and simultaneously to interrogate their apparently counter-intuitive nature. Carceral geographers and others have noted that the carceral exists in unexpected places beyond the formal contours of detention or prison; carceral scholarship is increasingly identifying previously under-recognised aspects and consequences of confinement, and innovative methodologies are uncovering under-researched elements of carceral experience. And beyond the ‘academy’, 2018 has itself brought the ‘unanticipated’. An unexpected heatwave in Europe has caused deterioration in prison conditions – yet climate change research tells such that such extreme weather events are increasingly likely. And the US has seen the unthinkable – the separation of migrant families at the border and the incarceration of migrant children – in a move depicted by the Trump administration as an inevitable consequence of the enforcement of a ‘zero tolerance’ immigration policy. The conference committee are pleased to welcome Professor Dominique Moran (University of Birmingham) and Professor Chris Philo (University of Glasgow) as this year’s keynote speakers. Dominique Moran’s research in the UK, Russia and Scandinavia, supported by the ESRC, has contributed to her transdisciplinary work, informed by and extending theoretical developments in geography, criminology and prison sociology, but also interfacing with contemporary debates over hyperincarceration, recidivism and the advance of the punitive state. Dominique is author of ‘Carceral Geography: Spaces and Practices of Incarceration’ (2015) and an editor of Historical Geographies of Prisons: Unlocking the Usable Carceral Past (2015), ‘Carceral Spaces: Mobility and Agency in Imprisonment and Migrant Detention’ (2013), and ‘Carceral Spatiality: Dialogues between Geography and Criminology’ (2017). Chris Philo’s ongoing research interests concern the historical, cultural and rural geographies of mental ill-health, supplemented by scholarship in the following fields as well: social geographies of ‘outsiders’; children’s geographies; new animal geographies; historical and contemporary figurations of public space; geographies of ‘new spiritual practices’; Foucauldian studies; the history, historiography and theoretical development of geography. Much of his historical research on ‘madness’ and asylums is brought together in A Geographical History of Institutional Provision for the Insane from Medieval Times to the 1860s in England and Wales: The Space Reserved for Insanity (2004). Arriving by air – Liverpool John Lennon Airport is around eight miles from the city centre. A low-cost bus service from the airport to the city centre is operated by Merseytravel. It is also possible to use Uber or taxi services. Manchester Airport is 45 minutes from Liverpool city centre. Direct connections are available by train. Arriving by road and rail – The nearest train station is Liverpool Lime Street (10 minute walk from campus) and National Express coaches stop at Liverpool One bus station (20 minute walk from campus). The pendolino service to London Euston is direct and takes 2 hours 13 minutes. Liverpool is well-connected to the UK motorway network. From the M6 take the M62, M58 or M56 direct to the destination. There are visitor car parks provided by the University. These are located at Brownlow Street and Mount Pleasant (opposite the Catholic Cathedral). Please see the Campus map for visitor car park locations. On-campus accommodation is also available. Details are here. By popular demand, we’ve extended the deadline for abstract submission to Midnight GMT October 7th. Full details on how to submit here.